Our ablution containers come in various sizes and aside from our turnkey ablution units, we can customize a unit to your bespoke specifications. We have been in the container conversion business for decades and with experience in the UK, South Africa and other parts of Africa, we are your best bet. our ablution containers are ideal for construction sites, parks, music festivals, mining sites, urban areas, and so much more. Repurposed shipping containers have many advantages, and ablution containers are leading the pack. For over 30 years, we have been in the container conversion industry and other than ablution containers, you can get in touch with A&A Containers for a wide variety of containers including storage units, containers homes, classrooms, hospital and laboratory units, workshops, offices and so much more. 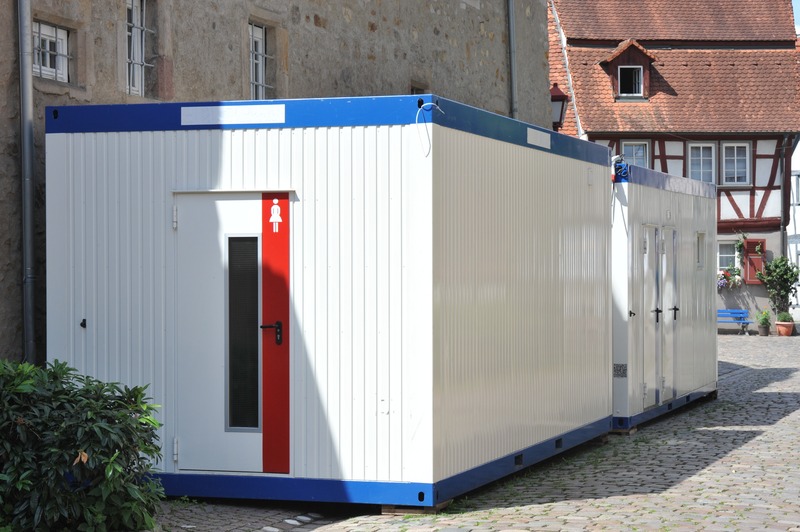 Call us today for turnkey ablution containers as well as a wide range of container conversions. No job is too small and we will give you a free non-obligatory quote while we are at it.